San Diego, CA, June 11, 2018: Dealing in death isn’t an easy business, but for the multi-talented and tormented Scott Ian Lewis, death is life. Having spent the past 13 years as vocalist for the reigning death metal band, Carnifex, Lewis has is ready to deliver a dark and brilliant new creative chapter with his debut graphic novel, Death Dreamer. 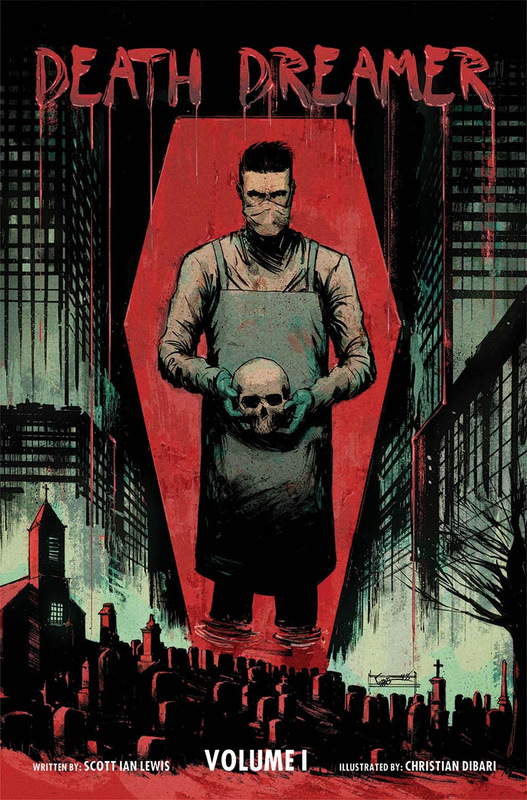 The Death Dreamer crowdfunding campaign will run full force for 38 days (June 11 - July 18) up to San Diego Comic-Con, where Lewis is set to premiere the finished graphic novel with a slew of signings. Fans who partake in the crowdfunding campaign will have the chance to pick up their signed edition in person all weekend long. For backers not able to attend SDCC, fulfillment will happen the same week. “Releasing the first edition directly in the hands of the fans that have supported me is something I couldn't be more excited for. There is a lot of me in this story and throughout the characters. My hope is you connect with them in a way that pulls you deep into the dark world of Death Dreamer,” added Lewis.